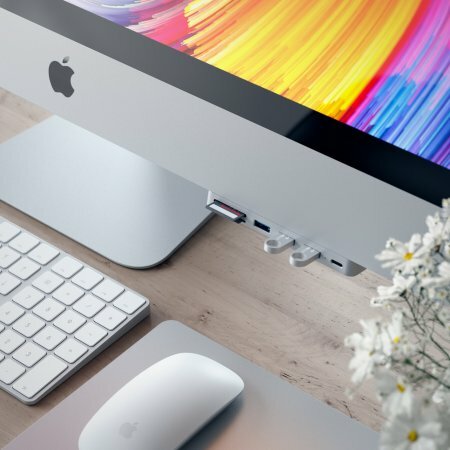 Expand your iMac 2017 or iMac Pro 2017 with additional connectivity options with just one compact and light accessory. With many modern computers becoming so thin to create an attractive design, the range of ports available can be greatly reduced. 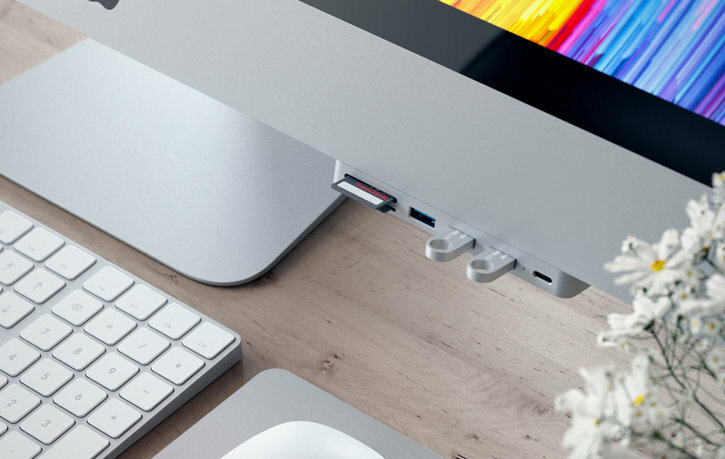 The Satechi USB-C Aluminium Clamp Hub Pro expands the number of USB ports all in one handy and slim-fitting device. 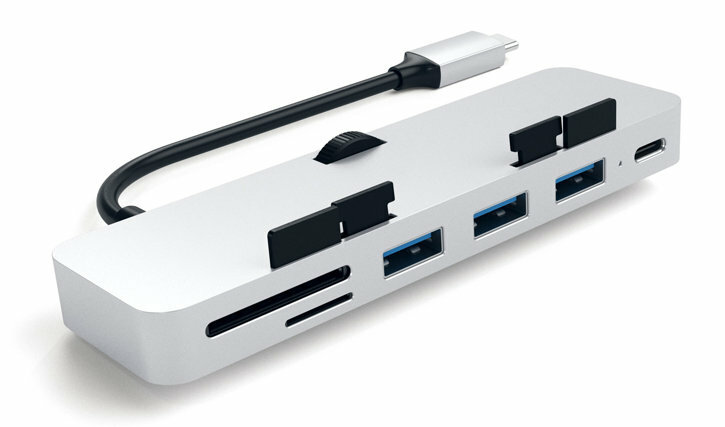 Add 3 super speed USB 3.0 ports to your iMac to be able to connect a wide range of media devices whenever you need it. These could include USB memory sticks, external USB hard drives, gamepads and other USB-powered devices. Should you use the port for data transfer, you will be able to enjoy the data transfer speeds of up to 5Gb/s. 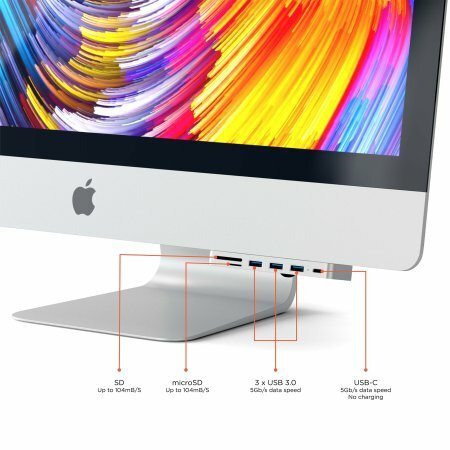 The Satechi USB Type-C Clamp Hub Pro also features a standard SD card reader for easy transfer of data from your cameras' or games consoles' memory cards to your computer. As well as an SD card reader, the Satechi USB Type-C Clamp Hub Pro also features a micro SD card reader for transferring data from your smartphone. 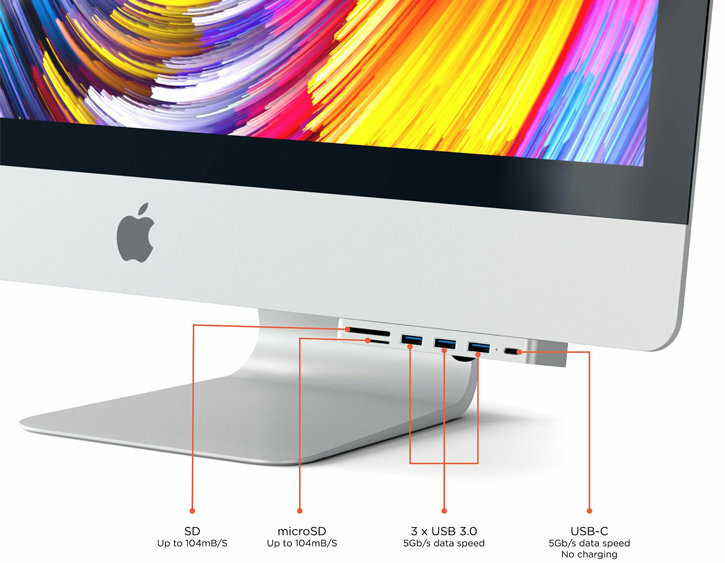 Due to its small and lightweight design, the Satechi USB Type-C Hub is the ideal companion for your iMac / iMac Pro 2017. The silver colour and aluminium build will surely complement the sleek lines and appearance of your iMac / iMac Pro 2017. 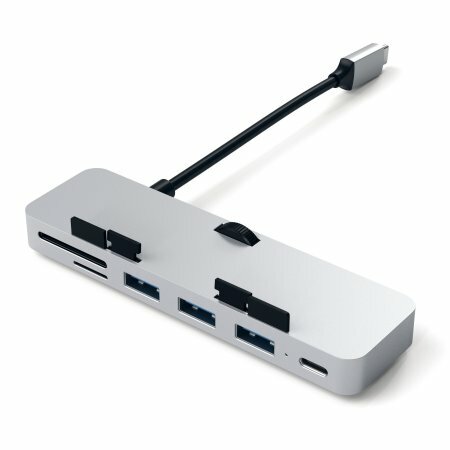 The Satechi Aluminium USB-C Clam Pro Hub has been designed specifically for the iMac 2017 & iMac Pro 2017. 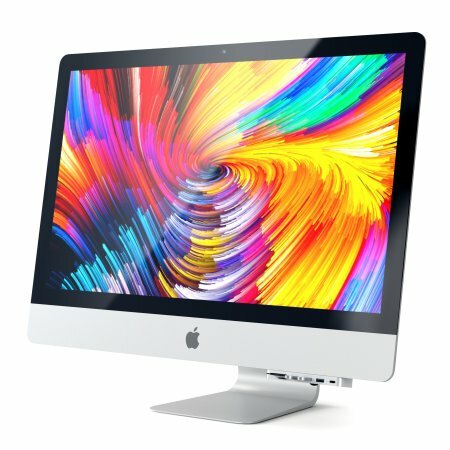 Just plug the device to your Thunderbolt 3 port on your 2017 iMac / iMac Pro and use the adjustable knob to securely fasten it to the bottom of your device. Since it has been made with iMac in mind, it offers a great compatibility and a perfect fit. 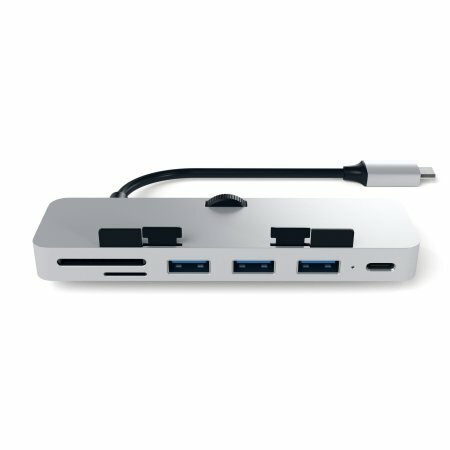 Please note: this USB hub is only compatible with iMac 2017 & iMac Pro 2017. Does not include any of the merchandising props (i.e. SD card or memory drives).